A late posting this week, washing machine troubles :/. Welcome to the meteorological winter. We have high pressure in charge of our weather and it’s been around for a few days now, which was welcome news after the floods earlier in the month, and it is here to stay. After some sharp frosts and sunny days earlier this week, things have changed. Earlier in the week the wind was easterly dragging in drier air and clear skies, hence the frost and sunshine. The high pressure has now slipped position allowing cloud to topple in from the northwest making for a stale weather pattern. Thursday to Sunday will all be similar days. Plenty of cloud and mostly dry but just the odd thicker area of cloud might produce drizzle at times. More cloud-cover means the nights won’t be as frosty and the days will feel cooler with less in the way of sunshine. Hopefully more in the way of sunshine by Sunday. If breaks do occur overnight we will see some mist or fog as well as a frost. Looking ahead: High pressure continues to be in charge early next week. Variable amounts of cloud. Any breaks allowing sun by day and some frosts by night. Very dry. Possibly a change later in the week as the high is pushed away but not without a fight. So we’re about 10 days into November and some areas have already experienced a ‘winter’ feel with some snow falling on higher ground on Tuesday night and into Wednesday. This is much earlier in the year/season than we are normally accustomed to. As things stand, the ingredients are all there for this coming winter to be a colder-than-average one and possibly, in my opinion, the coldest since 2010/11. Time will tell. Looking ahead and next week looks milder but possibly only for several days then the cooler air returns. 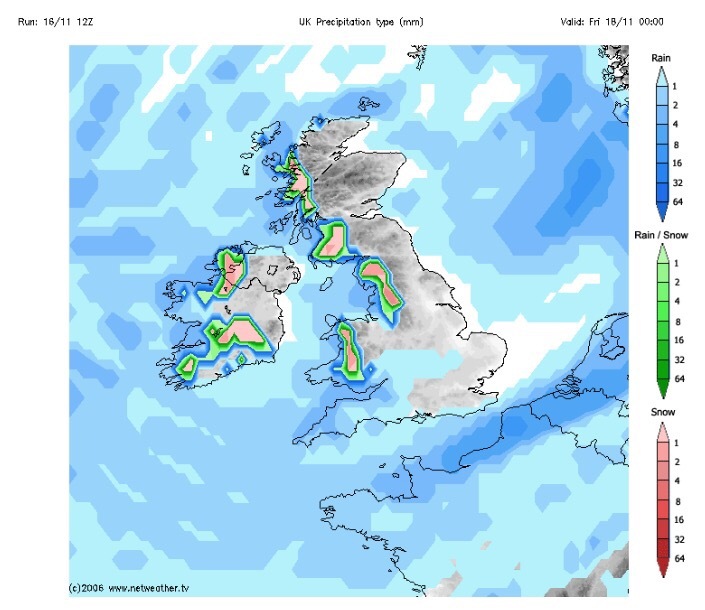 Whilst mild, expect some showers or longer spells of rain. Keep up to date with your local weather forecasts by following @ChadWeather on Twitter. After an exceptionally dry October, which delivered only 18% of our average monthly rainfall, we enter November having certainly changed to much colder weather with our first frost of the season. Once the low pressure that brings Friday’s rain moves on we get another blast of cold Arctic air over the coming weekend. So if you’re off out to see a bonfire and fireworks display over the weekend, wrap up warm. 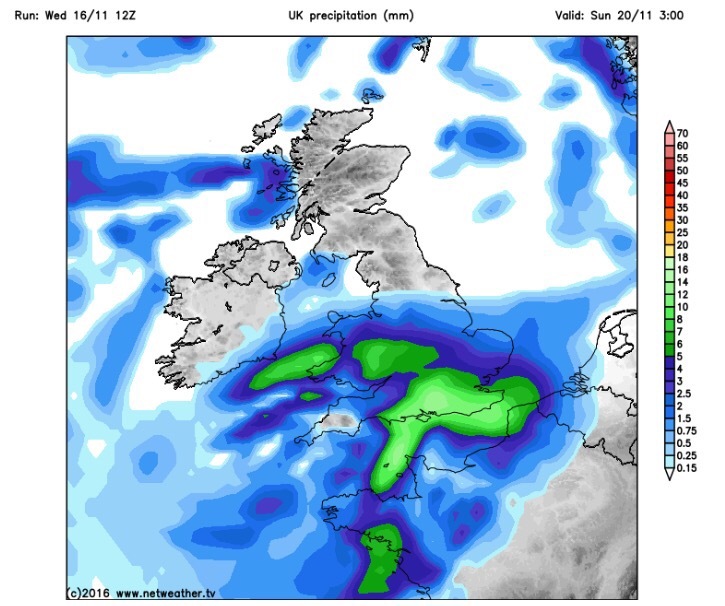 Both Saturday and Sunday evenings look the better option for going out for Bonfire Night. Looking ahead and next week remains cold, with some overnight frosts and mostly dry conditions. 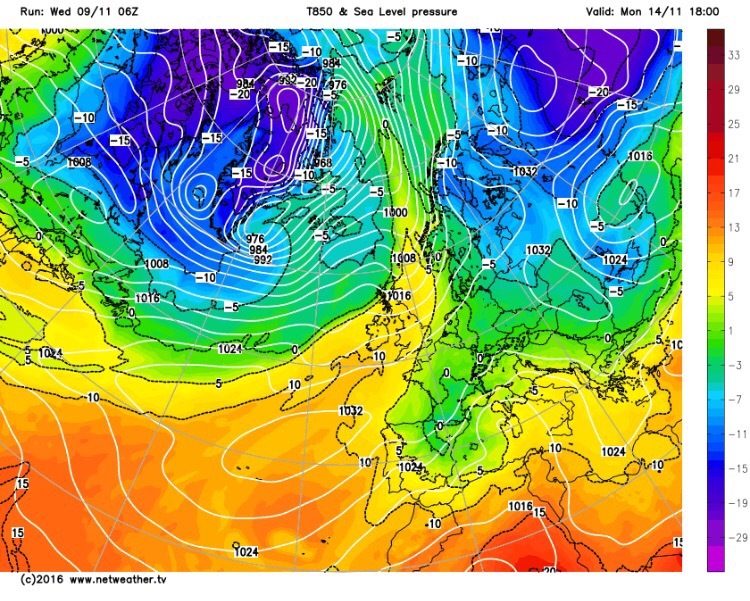 As the week progresses the Atlantic will try and feed in some less cold air and with it some bands of rain. By Thursday it could be mild again.